The Chokwe tribe consists of about one million people living in Eastern Angola, DRC and Zambia. The tribal history goes back to the 15th Century and according to the tradition the tribes are still ruled by a King named Mwane Nagana. They are known for their fine sculptures which have also inspired the neighbour tribes. The figurative art includes numerous forms of ancestrial figures whos spirits are believed to guard the tribe. The women are in general respected in the tribe and as wife, mother and sister to a monarch they enjoy great respect which is expressed in their figurative art. 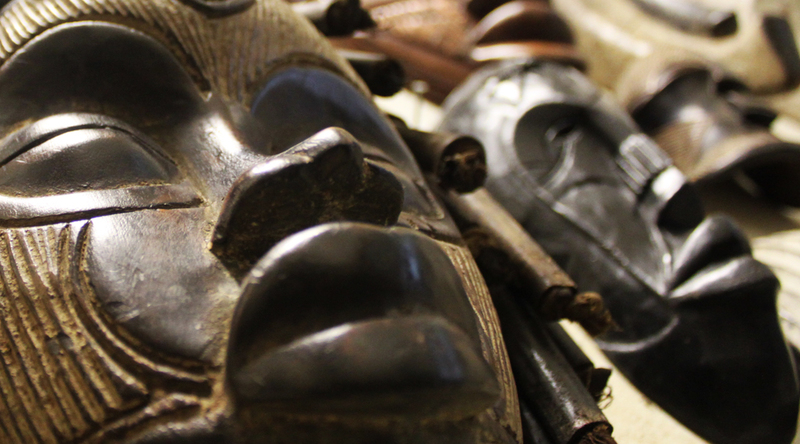 Chokwe sculptors are admired inside as well as outside the tribe.